BOS Holdings is pleased to announce the purchase of Florida Business Interiors (FBI), Orlando, FL. FBI was founded in 1992 by Lyndell Patrick and Denny Bowman, as a Preferred Haworth office furniture dealership. BOS Holdings will continue to operate the new acquisition under the FBI name and will function independently of BOS, AOI and BOSI. FBI will have the ability to leverage the diverse services of BOS Holdings’ companies and will go to market with more tools, capabilities and support than ever before. BOS Holdings is the holding company for Business Office Systems (BOS), Chicago and Roselle, IL; Affordable Office Interiors (AOI), Roselle, IL, Madison, WI and Milwaukee, WI; and Business Office Systems Installations (BOSI), Lake Forest, IL. BOS, one of the leading Haworth dealers in the world, has been in business since 1948. 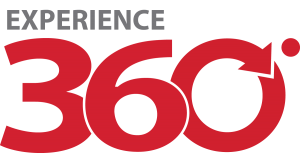 When partnering with mid-market AOI and Union installation firm, BOSI, BOS offers a unique 360 degree holistic service capability that consistently evolves as part of the ever changing office environment. From new, used and recycled office furniture to professional services such as space planning, design, technology integration, remanufacturing and project management, BOS Holdings collectively offers complete and effective workspace solutions.